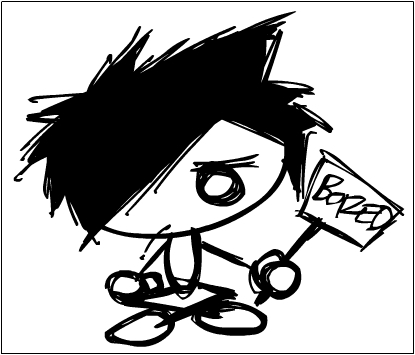 Are you bored or SO bored? I just found out today that hundreds of people everyday go to google and type in the term “I’m bored“. I found this out because I was bored and I was wondering what can I do on the internet when I’m bored. It turns out a lot of people are looking for fun things to do at work when bored and top things to do when bored. It’s good that bored people have a lot of company; at least they’re not bored and lonely. 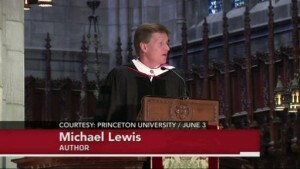 Michael Lewis, author of the acclaimed books “Liar’s Poker” and “Moneyball”, delivered the baccalaureate speech at Princeton on June 3rd and put forth some interesting theories regarding the role of luck in successful people. These words have caused quite a stir, most notably among successful people who refuse to acknowledge that luck played quite a role in their successes. Here are some excerpts from the speech, with the full video provided below. People really don’t like to hear success explained away as luck — especially successful people. As they age, and succeed, people feel their success was somehow inevitable. They don’t want to acknowledge the role played by accident in their lives. There is a reason for this: the world does not want to acknowledge it either…don’t be deceived by life’s outcomes. Life’s outcomes, while not entirely random, have a huge amount of luck baked into them. Above all, recognize that if you have had success, you have also had luck — and with luck comes obligation. You owe a debt, and not just to your Gods. You owe a debt to the unlucky. Hindsight is not always 20/20. Successful people often misinterpret their successes as they look backward, re-engineering their past to put a deliberate spin on their choices, choices that ultimately led to the success they now enjoy. This line confers the deliberateness of the choices one made to lead to success. Two paths were available and the choice was made, deliberately, to choose the path that led to great successes. The irony of successful people using this line to reflect their perfect choices is that the poem, taking in it’s entirety, suggests just the opposite and supports the Michael Lewis contention: randomness and luck are as much contributors to success as lots of work and deliberate choices. What really happened in the poem? There was a guy standing in the woods and he saw two available paths with no distinguishable differences. He basically flipped a coin to determine his path, which fortunately was the path that led to the gold (read the full poem). It is only later in life, when looking back, he recreates his story to make the choices on that fateful day seem deliberate. “I, I took the one less traveled by, And that has made all the difference.“. The reality couldn’t have been further from the truth. We live in a world now, certainly in America, where there is a great disparity between the “haves” and the “have-nots”. And many of the haves, not all mind you, suggest that the have-nots could have been one of them had they just worked a little harder. This thinking eases their guilt about all of their having . And, obviously, the more you have the less you share. I was recently taking a walk in San Francisco in the Nob Hill neighborhood, one of the wealthiest districts in America. As is common in San Francisco, this wealthy neighborhood shares a close proximity to some very downtrodden areas. I walked past a group of luxury penthouses on the top of Nob Hill and noticed that one of them was for sale. The asking price: $25 million dollars. Outside of this group of penthouses, on the side of the building so as not to be noticed, was a homeless veteran. People exiting this building took no notice of him. In his speech, I believe Michael Princeton is simply saying: Take Notice! I was searching for information today and discovered that people prefer useless information to useful information. Yes, that’s right. There are more searches on the Internet everyday for the term “useless information” than for the term “useful information“. Don’t believe me? Check out this chart. I was recently adding some how to videos to the home page of my site when I came across a web page that allows you to Put Your Face on a Dancing Body. This site is called JibJab and they not only allow you to put your face on a dancing body but you can also put your face on another body.